When I first started working in Distance Education 3 years ago I really struggled with letting go of the every day teaching. The main reason for this was that I was still responsible for my students reaching National Standards but the majority of the teaching was out of my hands and being done by untrained home tutors. One way my school attempts to remedy this situation is by holding an annual conference, which not only up skills our parents and home tutors, but also allows our students to participate in learning experiences that are taken for granted by schools on the coast. It takes 6 to 10 months to plan and organise this event and costs a minimum of $25 000. This is paid for out of the annual school budget, parents and the school's Parent Liaison Officer applying for grants. We are very lucky that there is many national sporting organisations in Australia that will send out representatives to work with our students for minimal costs. This year we had 70 home tutors and 85 children attend for the 3 days, with some driving up to 5 hours to get here. This will be the first time parents, home tutors and students will meet their teachers, even though school started a week before. In fact some teachers will never meet their students face to face, due to the large, isolated areas Distance Education covers. For the three days the parents and students are separated, as our school grounds is too small to accommodate everyone. The students are organised by age groupings and are supervised by teachers as they rotate through a range of activities, with a focus on sports, arts and health and safety. The majority of our students live on large properties with unfenced dams, rivers and creeks so a big part of school events is the teaching of swimming and survival skills. This year the students also participated in hockey, lantern making, weaving and gymnastics. A lot of time is also spent on team building activities to ensure the students are learning socially appropriate ways to share, turn take and play with each other. These seven hour days don't seem to exhaust them either as they are all revved up for night time activities! While the children are playing the adults are learning. There is a mixture of teacher lead sessions and guest speakers. These sessions need to meet the needs of beginning to 10 year experienced home tutors who have limited or no ICT skills and students ranging from Prep to Year 10 . Also due to the impact of working large properties, in the middle of a drought, we are also mindful that many of our families are needing social and emotional support outside of the classroom as well. 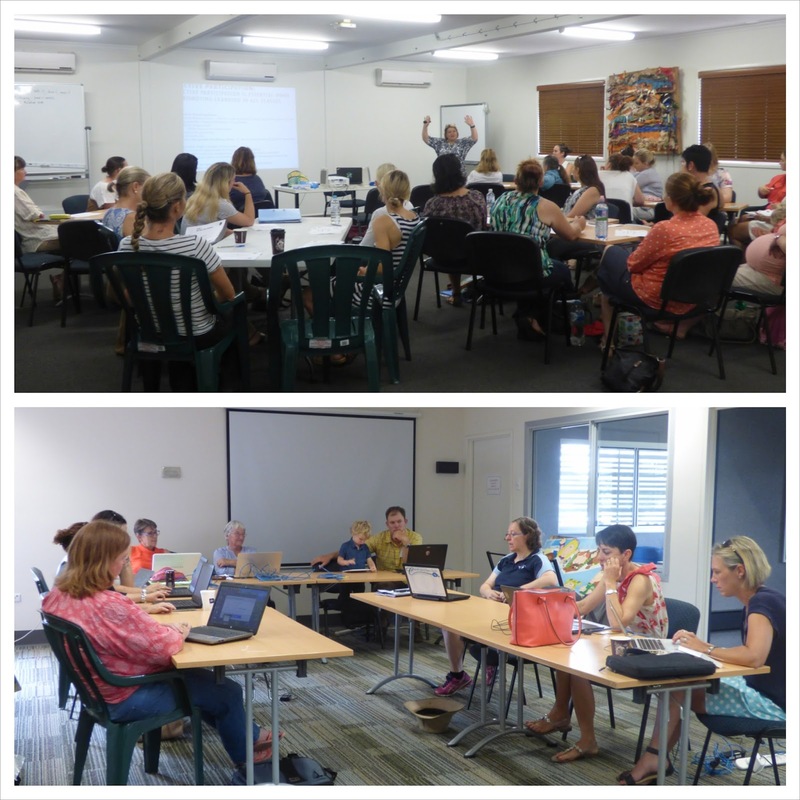 Some of the sessions this year focused on reading, sight words, ICT support, web-conferencing, mental and emotional wellbeing, personal goal setting and Back to Front Maths and misconceptions with guest speaker Tierney Kennedy. As an experienced teacher I held two sessions. One was about the implementation of our school's phonemic spelling program 'Soundwaves' and the other was about the importance of creating word walls to help build up student vocabulary and understanding. Both of these presentations can be downloaded from my TpT store by clicking on the links. I also created a set of IWB games that the home tutors could use to practice the spelling pattern for the week. These can be done individually or with a class of students. In fact I use them as warm ups before our English lessons everyday. They are made using PowerPoint and are completely editable. 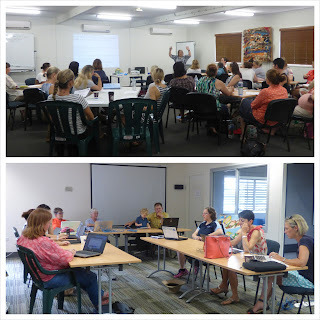 The week of Kickstart Conference is an extremely busy and tiring week for all involved. It is a time for me to connect with not only my students but also their home tutors. In no other school setting is it more obvious, and vital, that teaching and learning is about partnerships and give and take. It's nearly taken me three years but I think I can actually now say my relationship with my home tutors is blossoming. I have stepped away from the mantle of being the expert in the classroom and now see myself as a mentor and an equal of those with less knowledge and experience in teaching. Lots of good things to come...I'm sure!! Hi All. 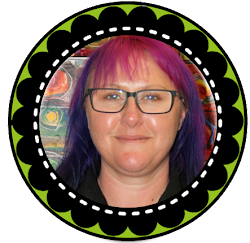 I am an early years teacher who works with geographically isolated students, in remote south-west Queensland, using web-conferencing. Welcome to my blog! Establishing Expectation and Goal Setting! Teaching Partnerships in Distance Ed. Where has Leonie been? Certainly not blogging! !